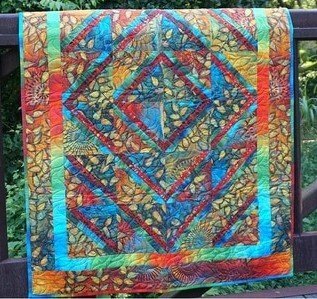 Everyone who sees this quilt falls in love with it. The fabrics are glorious and the construction is not very difficult. And the pattern is a free download! You can use this collection, or choose your own.